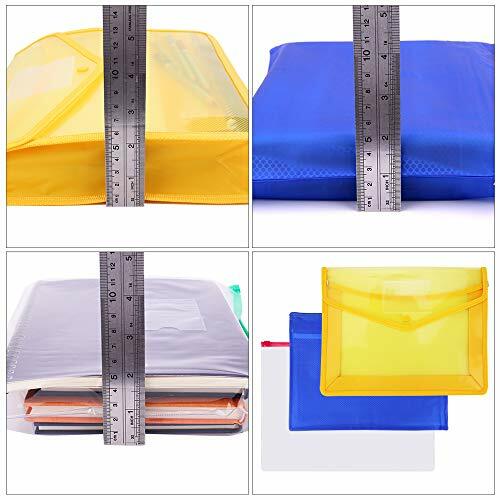 Product Size - 21 Zipper File Bags in 2 sizes: 32.5x25.5x7 cm / 12.8x10x2.8 Inch; 34x24 cm / 13.4x9.5 Inch. 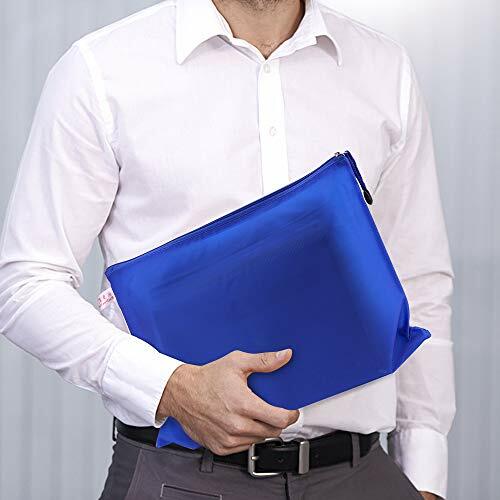 Fits for A4 size paper files so that you can make your file organized. 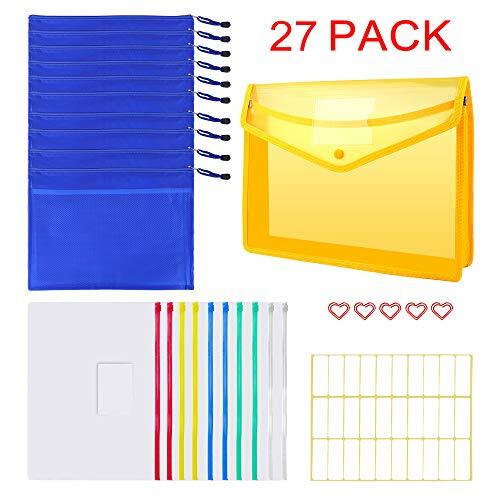 27 Pcs Office Stationery Storage Set include 10 Pcs waterproof mesh document double layer bags, 10 Pcs Plastic Poly Zip Envelope Bag, 1 Pcs Expanding File Folder, 5 Pcs heart-shaped Paper Clips, 1 Sheet Label Sticker. Adequate quantity for home or office daily use. 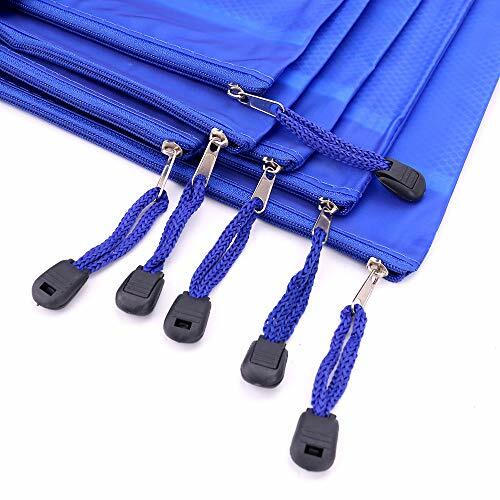 Waterproof File Zipper Bag: Made of High-quality environmentally friendly water-resistant PVC material, resistant to rubbing, waterproof and oil-proof material, convenient and not easy to rupture. 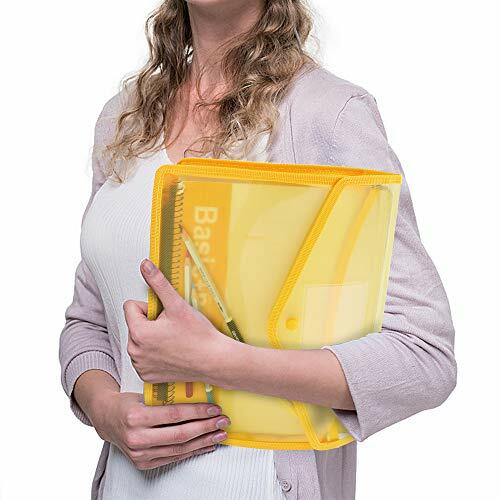 Delicate Design: Zipper mesh document double layer bags, zipper with nylon strip for you to hang and carry out; zipper file pvc bag outer mini label pocket and label stickers helps classify and identify your document. 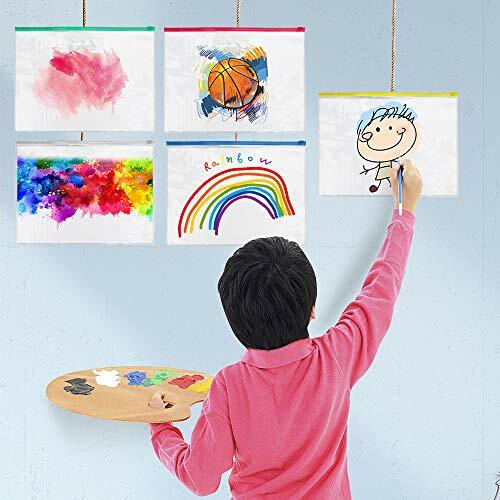 Convenient to distinguish from other objects, easy to sort out and find out your accessories. 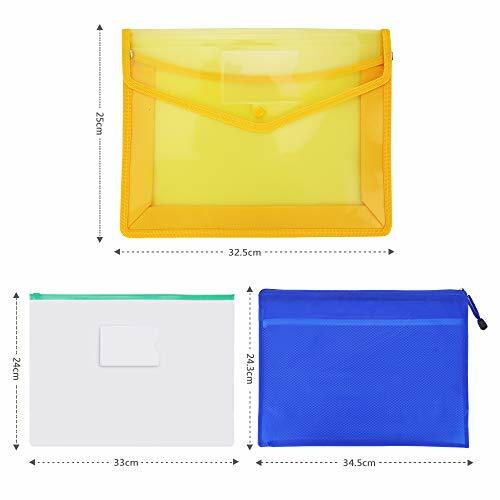 Widely Application: the file zipper bags can be used as pencil case, cosmetic bag, files, papers,cell phone bag and coins bag. 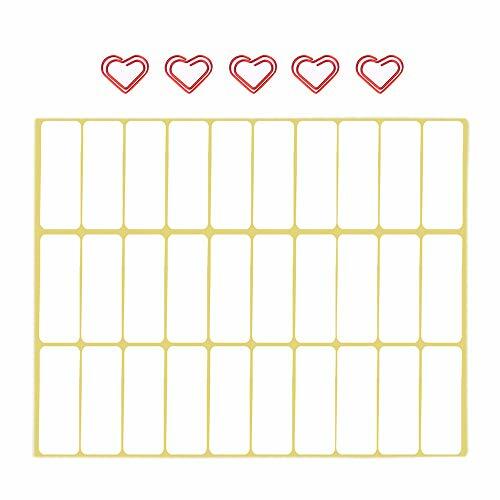 can serve as travel storage organizers for jewelry, candy, toothbrush, toiletry, or pen, pencil, bill, check, receipt, check, or any other small items.